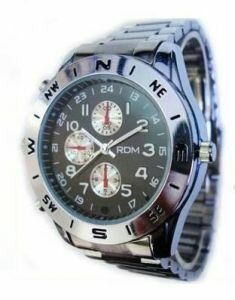 With Round Table Clock Designed, Spying gets more easier! Did your home maid steal your money? Was your child being naughty at home? Is your boyfriend/girlfriend a honest person? Don"t waste a couple of hundreds for an investigator when you can do this yourself! Here is the answer - the Round Table Clock Camera will allow you to record interviews, meetings, and on the scene discussions without intimidating anyone. This tiny video camcorder lets you record AVI format files that you can later transfer to your computer for viewing and archiving purposes. The Round table Clock has everything you would need. 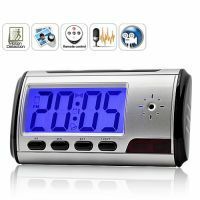 Motion Detection, 2 hours Continuous recording, High Quality Picture and Sound, Remote Control, a Normal Round Table Clock. 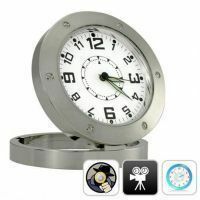 The Round Table Clock DVR is with 720 x 480 , 30 frames per second and audio is stereo. 1280 x 960 JPEG format picture.